I thought I just did that during the previous answer. 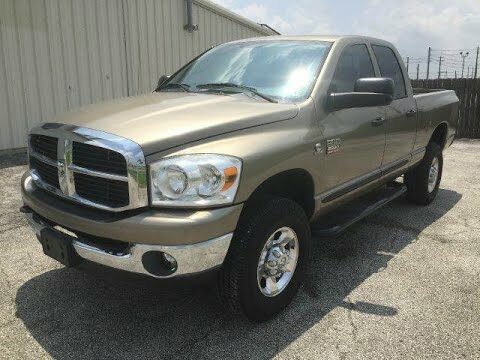 My Dodge RAM is one of the most reliable vehicles I have ever had the pleasure of owning. The comfort of my RAM is unbelievable for a big truck. The power of the Dodge RAM is over the top when compared to other vehicles in the same class. Gas mileage on the Dodge RAM could use some help. Keeping the Hemi in gas gets quite expensive. Good family truck with enough space for multiple car seats. Limited features besides the windows are electric. The vehicle is lifted and has 34 inch tires. Very roomy backseat and fits three car seats well. The vehicle does not bump all over the road while driving and is a comfortable ride. Haven't had many negatives as we just purchased this truck. It is lifted and I can't always see small cars and bikes. I like that the body is actually made of metal unlike a lot of other vehicles. The mega cab is very roomy, therefore I can haul a bunch of stuff and everyone is comfortable. However, the interior could have been made better for the price that was paid. It also is not the smoothest ride. CERTAIN PICKUP TRUCKS EQUIPPED WITH 34 GALLON FUEL TANKS FAIL TO COMPLY WITH THE REQUIREMENTS OF FEDERAL MOTOR VEHICLE SAFETY STANDARD NO. 301, "FUEL SYSTEM INTEGRITY." THE FUEL TANK MAY BECOME DAMAGED DURING CERTAIN CRASH CONDITIONS, WHICH COULD ALLOW FUEL LEAKAGE TO OCCUR IF THE VEHICLE ROLLS OVER. DEALERS WILL INSTALL A FUEL TANK SHIELD ONTO THE FRONT FRAME CROSS MEMBER. THE RECALL BEGAN ON JUNE 12, 2007. OWNERS MAY CONTACT DAIMLERCHRYSLER AT 1-800-853-1403. CERTAIN 4X4 TRUCKS WITH DIESEL ENGINES FAIL TO CONFORM TO THE REQUIREMENTS OF FEDERAL MOTOR VEHICLE SAFETY STANDARD NO. 120, "TIRE SELECTION AND RIMS FOR MOTOR VEHICLES OTHER THAN PASSENGER CARS." THE CERTIFICATION LABEL, TIRE AND LOADING INFORMATION LABEL AND SUPPLEMENTAL TIRE PRESSURE INFORMATION LABEL CONTAIN INCORRECT TIRE INFLATION PRESSURE INFORMATION. IMPROPER TIRE INFLATION PRESSURE CAN CAUSE TIRE FAILURE AND RESULT IN A CRASH WITHOUT WARNING. DEALERS WILL INSTALL THE CORRECT CERTIFICATION LABEL OVERLAY FREE OF CHARGE. THE RECALL BEGAN ON MARCH 12, 2007. OWNERS MAY CONTACT DAIMLERCHRYLER AT 1-800-853-1403.